He joined the middle east-focused broker back in March after nearly a decade in the FX and trading technology space. 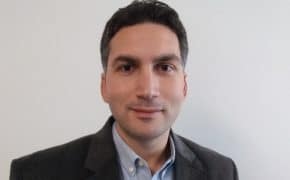 FCA-regulated brokerage firm House of Borse Limited (HoB) continues to undergo major changes to its senior leadership, this time parting ways with its Head of Trading and Risk Management Ulas Akincilar. The departure of Akincilar, whose career in finance spans more than eight years, comes barely nine months after installing him in the position back in March 2018. He confirmed to Finance Magnates that he leaves House of Borse on good terms. In his previous role, Akincilar was based out of the group’s London office but with global coverage. He joined the middle east-focused broker after nearly a decade in the FX and trading technology space, having worked at a number of leading venues in the industry. Ulas joined House of Borse from Gold-i, a trading systems integration specialist for the financial services ‎industry. He most recently served as Technical Support Engineer, ‎ a position he held for nearly 15 months. Akincilar also worked as FX Transactions Director at A1 Capital Menkul Degerler from July 2015 until December 2017, and then joined E-FX Capital Markets as Treasury & Risk Manager where he stayed for nearly two years. Founded in 2012, House of Borse is licensed by the UK regulator since 2016 to operate as a matched principle intermediary for a range of investment types, focusing primarily on institutional and professional clients. The company offers the similar core service as traditional prime brokers, and as a market facilitator and aggregator, it provides clients with direct market access to a wide range of bank and non-bank liquidity providers and ECNs. Akincilar earned his bachelor’s degree in geomatics engineering from Istanbul Technical University in Turkey.